Great American Subs has been one of Londonderry's favorite sandwich shops since it came onto the scene nearly 20 years ago. 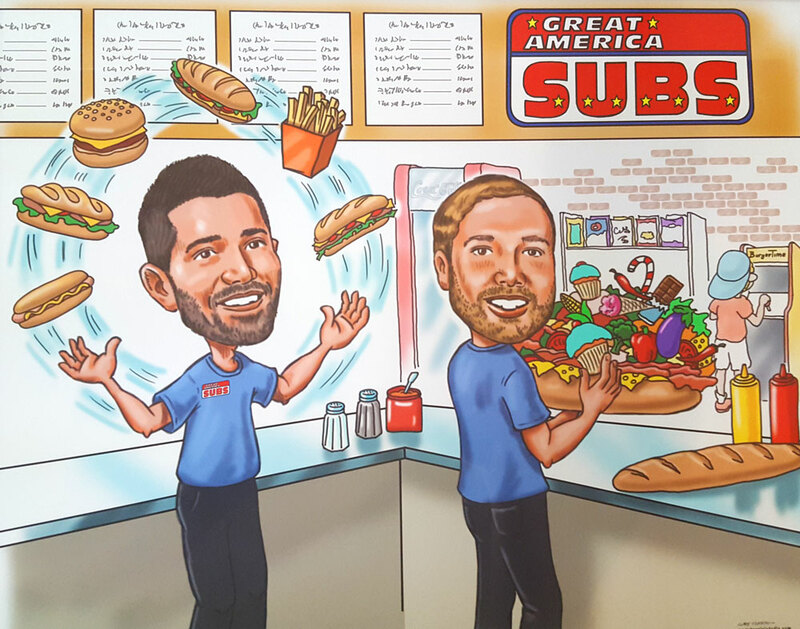 We strive to serve our customers and friends with the best subs around. We take pride in using fresh ingredients and having fast and friendly service. We love what we do! Now recently taken over by two long time employees and friends, we look to continue that tradition. Whether you're dining in with us or grabbing a quick bite to go, we want you to love what you just ate. See you soon! 50% LARGER THAN THE ORIGINAL! Thank you for considering us for your catering needs. Contact us if there is something you don't see here and we will do our best to accomodate your request. All pricing subject to change without notice. Please add 9% NH meals tax. Consumer advisory warning for raw food: consuming uncooked meats poses a risk to your health.